A vertical cloud is a set of cloud computing services optimized for use in a particular industry, or for a specific business model. Unlike organizations who can make do with general-purpose cloud computing services, those within certain industries or vertical markets often have more niche IT requirements around security, compliance and other factors. Vertical cloud computing providers aim to offer services that help their customers meet these unique requirements. For example, healthcare organizations need to ensure data privacy in accordance with the Health Insurance Portability and Accountability Act (HIPAA ). As a result, organizations in this vertical might prefer a cloud provider that offers HIPAA-compliant services, as well as features for electronic medical records (EMRs) and other applications unique to their industry. Cloud computing, in general, offers numerous benefits, such as increased scalability and on-demand access to resources. Cloud services also reduce the need for organizations to invest in on-premises software and hardware, and offer a flexible, pay-as-you-go pricing model. Vertical clouds deliver these same benefits, as well as industry-specific features and services. Additionally, because some vertical cloud providers focus only on one industry, they can offer support services that are more specifically tailored to users' needs. 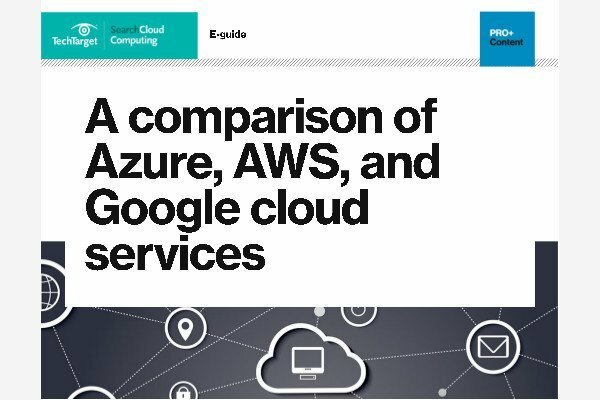 One potential drawback of vertical cloud services is that some of the vendors in this market might not have the same economies of scale as major public cloud providers, such as Amazon Web Services (AWS) or Google, which could lead to less competitive pricing. While many vertical cloud services tend to fall under the category of software as a service (SaaS), they can also be platform as a service (PaaS) and infrastructure as a service (IaaS) offerings. There is a growing number of smaller, or more specialized, vendors in the vertical cloud market, but some of the major public cloud providers also offer industry-specific services. For example, Amazon Web Services provides AWS GovCloud, a service that offers an isolated AWS cloud region specifically for U.S. government agencies that have sensitive workloads and strict regulatory requirements. Other examples of vertical cloud services include the Virtustream Healthcare Cloud and the Oracle Manufacturing Cloud. Which vertical cloud services have you adopted, and why?